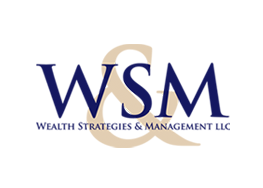 Wealth Strategies & Management LLC (WS&M) offers a unique approach to financial services, providing the depth of resources most associated with a large firm and combining it with the personalized customer service expected of a boutique advisory firm. Currently, WS&M services a broad range of clientele across 23 states including other financial professionals, business owners, pre-retirees and retirees. WS&M prides itself on its superior attention to client relationships and access to a broad selection of financial strategies. Among these are investment opportunities, retirement planning strategies, institutional fixed-income management, education savings solutions, business services, and insurance and estate planning strategies. Utilizing a proprietary financial analysis process, WS&M evaluates all aspects of each client’s financial health in order to create a road map to pursue short term financial goals and long-term financial security. Everything from goal setting, investment policy statements, spending policies, business services, retirement plans, cash flow, debt analysis, endowment and foundation investing, and estate planning is reviewed in the initial analysis process. The end result is that WS&M clients are educated and informed about where their finances stand, how their money is working for them, and how they will work towards their future financial aspirations.